Gift cards are pretty simple. They are simply a way to store value for use in Wintix and Webtix. 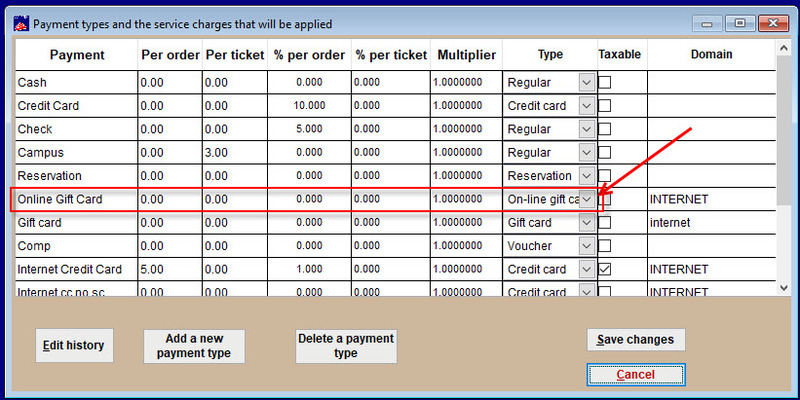 In Wintix, when you click on File | Payment types, you will see several different payment types. Select On-line gift card as your gift card Payment Type. Gift card sales show up in the daily sales reports as sales. Treat gift cards as cash. This entry was posted in Gift cards, Wintix 6 and tagged tutorial. Bookmark the permalink.